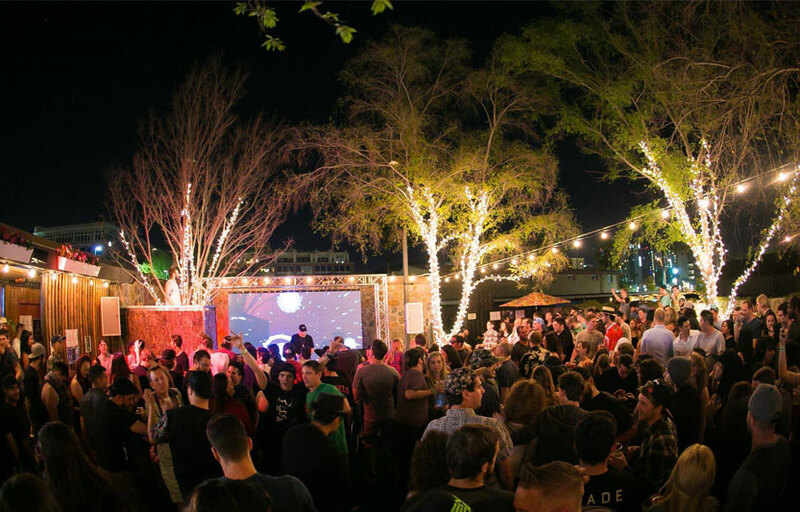 Part old-school lounge, part sports bar, part patio hangout, and part outdoor music venue, Shady Park has become a go-to spot for Tempe locals and those seeking some fun on Mill Avenue toward the end of the week. 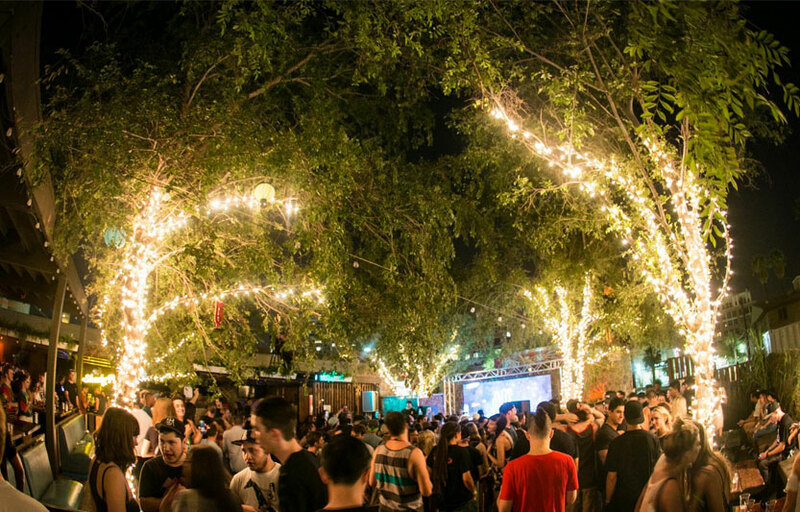 Shady Park’s dog-friendly, tree-laden back patio includes a full bar, plenty of seating, a weatherproof sound system, and a small stage backed with a large projector screen. Scott Price, also the owner of C.A.S.A. SunBa a little farther north on Mill, and the Shady Park crew have hosted live bands, DJs, pizza parties, the monthly Shady AF Comedy Night, and, we’re sure, more to come. The venue is labeled as “TreeHouse” on Sunday’s for its vibe outside. There is a huge variety of food options available, from sushi to pizza to ramen. 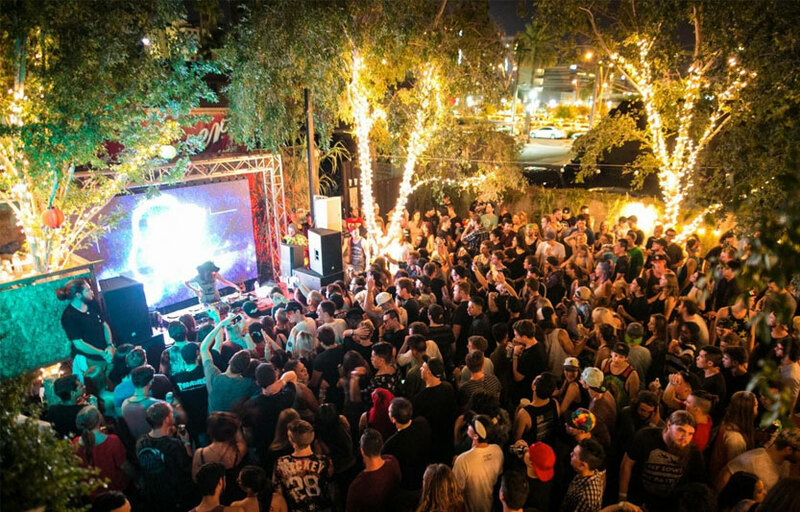 The venue is well-loved by locals for intimate house/techno shows. Where is Shady Park located? Shady Park is located in Tempe. How much is cover charge at Shady Park? Shady Park does not generally charge cover. How long will I have to wait at Shady Park? When is Shady Park open? Shady Park is open every day. What are the best nights to go to Shady Park? Nights with the most well-known artists are most popular. What is the dress code at Shady Park? How much do drinks cost at Shady Park? What kind of music do they play at Shady Park? Shady Park features mostly techno and house music. Where can I find an list of upcoming events / DJs at Shady Park? You can download the Discotech app to see upcoming events, and book tables for Shady Park.